I just walked outside and spotted the bottom of the arc. I thought it looked like oddly symetrical clouds, so I looked more toward the Sun and realized the Sun was encircled by a halo. I decide to risk my eyesight by briefly glancing though the viewfinder to take this shot. It's not cropped. My 17-40L was JUST wide enough to capture the whole thing. Very nice Mactec! 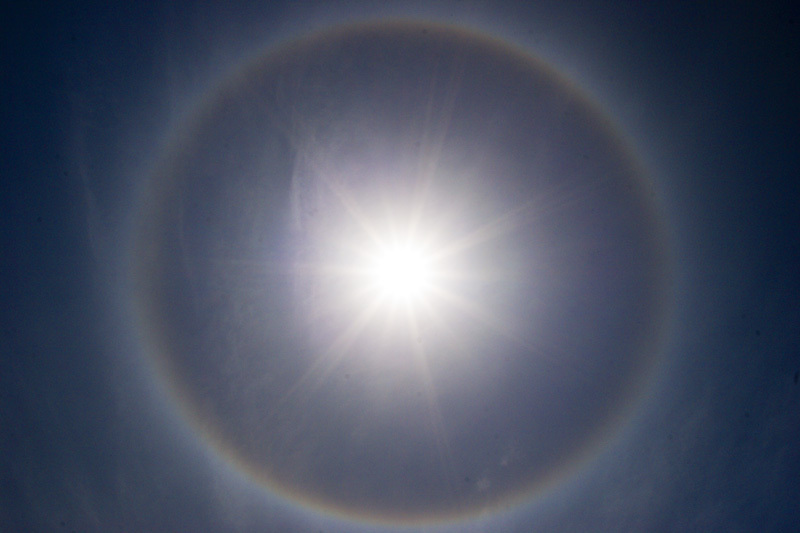 I typed in Sun Halo in google and came up with this very interesting ph enomena .Here is one: http://antwrp.gsfc.nasa.gov/apod/ap020114.htmlThanks I learned something new today! Thanks for the link, but it was broken... Here's a fixed one.